Perranwell certainly made their visitors fight for the victory with some stubborn defending throughout the match. Ironically, after St Austell had the bulk of the possession in the opening quarter, it was the home side’s Joe Ibbs-George who should have edged the hosts in front! 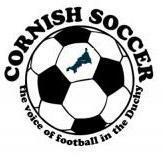 The striker failed to get a shot on goal with the St Austell defence all over the place and to make matters worse, about a minute later the SWPL side went in front through a Jack Calver 30-yard effort! The game, at least for the home supporters and the neutrals, needed Perranwell to come out after the break, playing down the slope towards the clubhouse, and level the game if it was to be a serious contest, however any chance of that was soon gone seven minutes after the break when referee Marc Rose surprisingly pointed to the penalty spot after the Lillywhites Neil Slateford went flying in the box! Chris Reski made no mistake from 12 yards and the same player increased the lead again from his second penalty of the afternoon a minute later. This time though there was no doubt that the challenge was a foul! It finished 3-0 to St Austell who now go onto to meet Wadebridge Town in the quarter final. 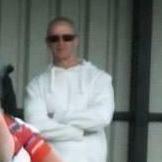 Was Martin 'Gina Genelle' Giles in the St.Austell squad Dave after he missed their Fa.Vase trip away last weekend ?? The 'niggly' comments he has received on twitter after being such a loyal servant to Town over the years seem a little harsh. Great player. Shame about the first non penalty, neither Perranwell player touched Slateford, but the ref bought the dive and that killed the game. Congratulations to St Austell, class side that moves the ball well, but no shame on the Well to only lose to a single worldy outfield goal in this company. Good luck to St Austell in the next round. St Austell controlled the game but credit to the Wells defence and keeper as they had to defend for long periods , and it was good to see such a big crowd at the match . Awful game to be fair on an equally awful surface ! Saint Austell were awful today and had loads of players missing and to be honest it should’ve been about 8-1 St Austell spent the first half an hour trying to score the perfect goal And finally scored with their first shot on target. I don’t think I’ve ever seen a St Austell side have more possession in midfield than in this game and had total control... A number of Perranwell lads were outclassed and the referee was shocking !! !